Where nothing goes to waste. Where everyone is appreciated for their contribution to our collective growth and happiness. Where personal drive and ingenuity are supported. We have, over many years, led in response to great challenges by joining tradition and hard work with innovation to create practical solutions. 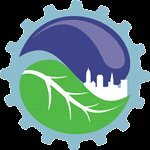 Cleveland was at the center of the industrial revolution, and the time has come to embrace the sustainability revolution now unfolding before us. We can build a better future for our children, a future rich in happiness and a strong sense of community and a commitment to be faithful stewards for generations beyond our own. We will celebrate diversity and inclusiveness. We will eliminate poverty and racism. We will seek justice and promote safety. We will foster spirited engagement in local, national and global commerce and exchange of ideas. We will create vibrancy in the core community through regional cooperation, collaboration and interdependence. We will inspire innovation, reduce waste, and create a competitive environment. We will strengthen our economy, community and long-term security through sustainable practices that produce local food and energy, minimize waste, provide public transportation, promote community health, and support education for all. behalf of generations yet to come.